Really this just happens to be what I want for Christmas. 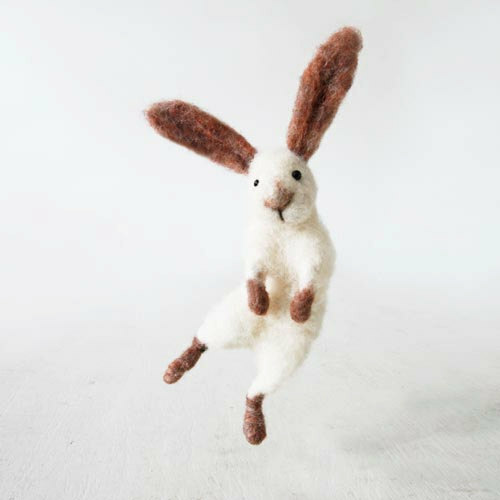 Also searching through sites like Folksy (where I will have a store opening soon) I realise how important it is to photograph your products well. I digress and will write an article on the good the bad and the ugly of selling online. So I hope you like the things I have picked out, I love them and they are truly adorable. The images themselves are stunning and living with a photographer has made me appreciate this so much more. The rain can’t stop me! 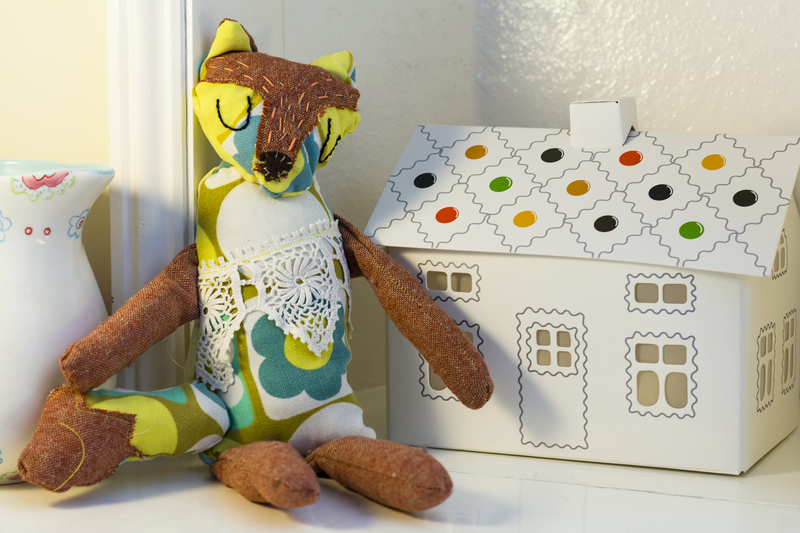 I had the enormous pleasure of meeting Victoria today from The Owl and the Accordion an uber beautiful kitchy/crafty blog. 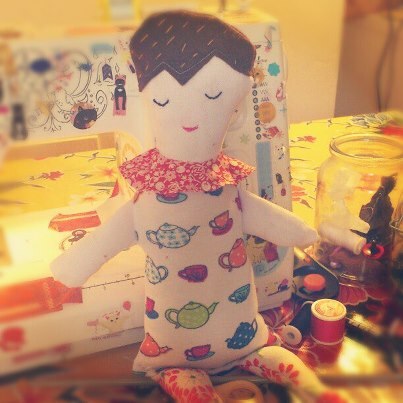 I am making a doll for her out of a treasured baby grow that belonged to her daughter. 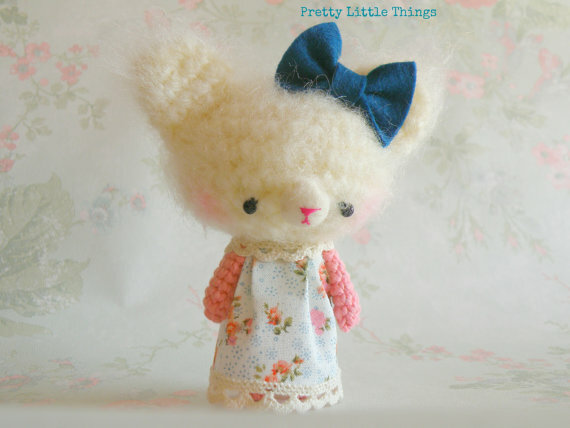 The doll is a present for her daughter, what a sweet idea? 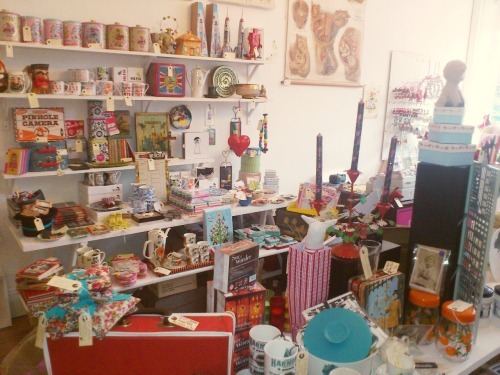 We both discovered we had lots in common, especially buying ornaments/vintage, bits of crochet and too many cushions. We then rounded off a cup of tea with a visit to my favourite shop in the world Flo & Stan. 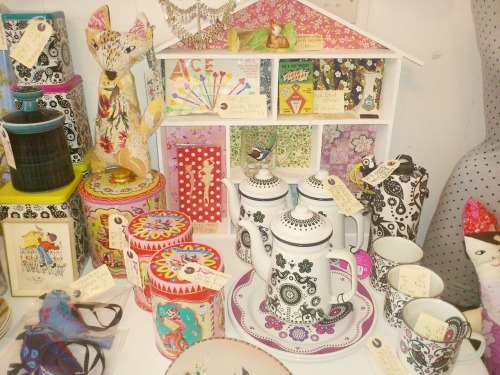 They also happen to stock my toys, I’m not biased it genuinely is the best little shop ever! Ah at last I feel its appropriate to start posting about Christmas. 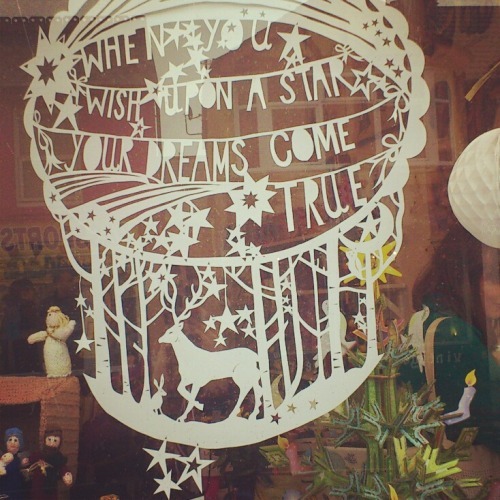 This week I started to cut out paper snowflakes to go in the window of our tiny house and it made me feel so excited. As we are on such a tight budget for Christmas my friends and family have warned me not to buy any gifts for them and just concentrate on our children. 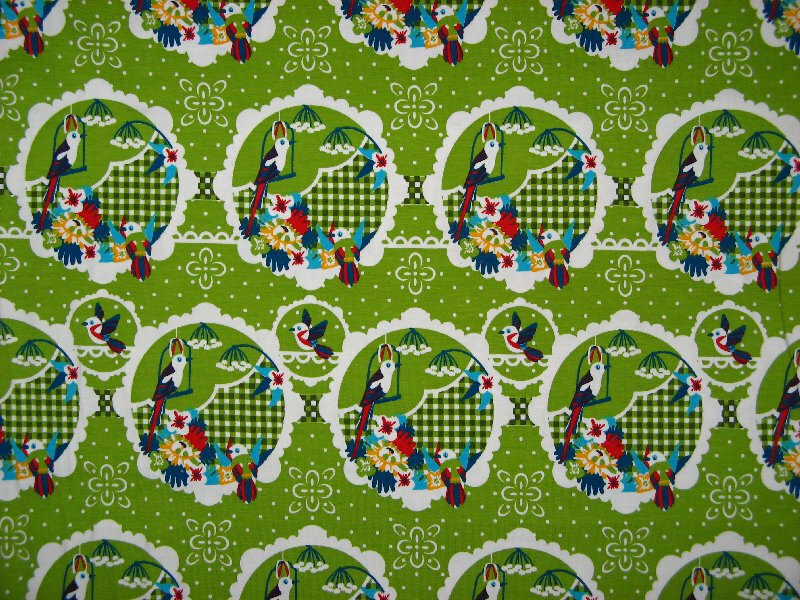 I will however make some pretty things as one thing I don’t lack in is fabric and crafty things. My other gift to my dearest ones is a Swedish style meal and party on Christmas Eve. Spending time with loved ones is what Christmas is all about and also for me making the house even more kitsch. Is that possible? 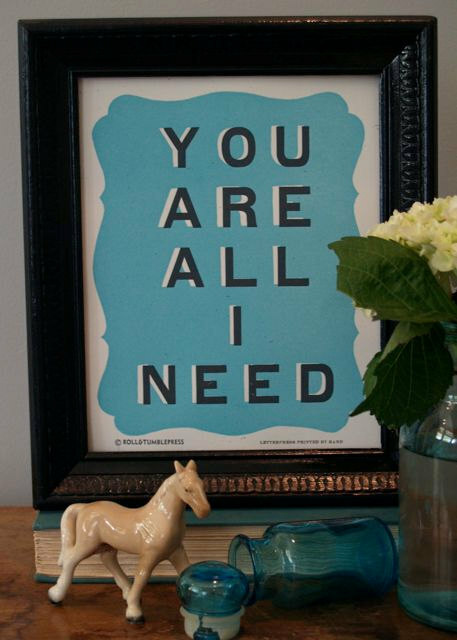 Here are some of my favourite ideas to inspire you! 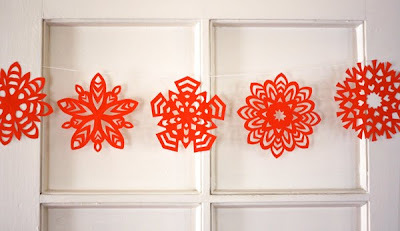 How to make 5 pointed snow flake from How about Orange. I followed this and then just varied the cuts I made to produce different designs. 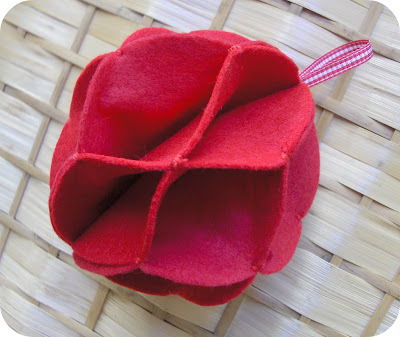 Felt Christmas Ornament Tutorial from Zakka Life. 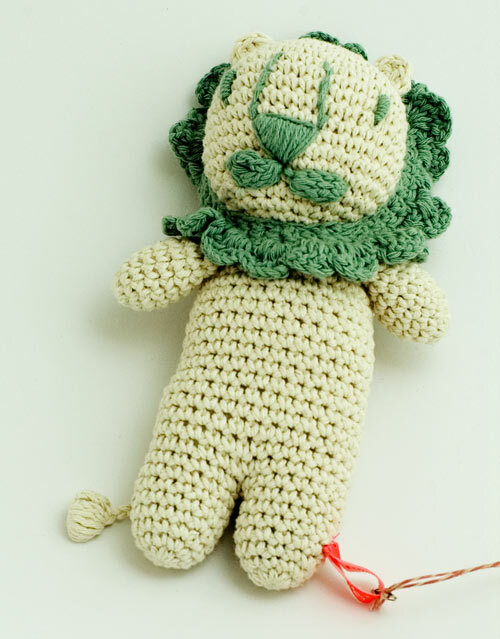 So easy to make and very pretty, I will so be making a few of these! 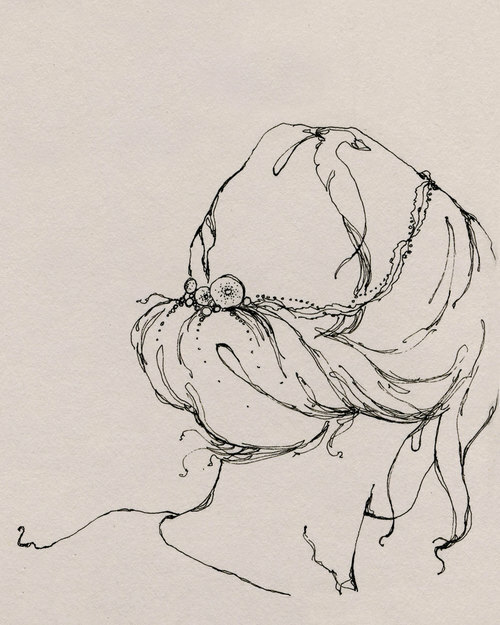 The lovely ingthings is always full of wonderful ideas, images and super pretty things. I like this pom pom garland with a vintage Christmas ornament hanging from it. So sweet. 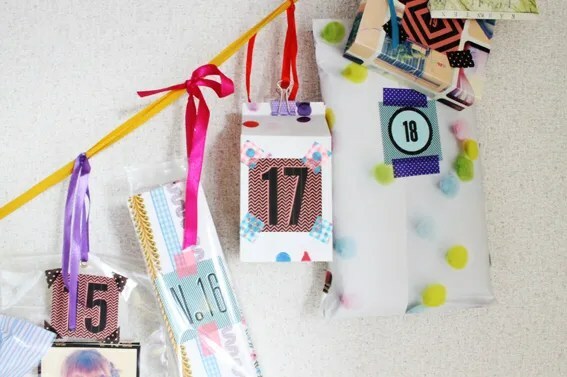 Hello Sandwich Advent Calendar garland. 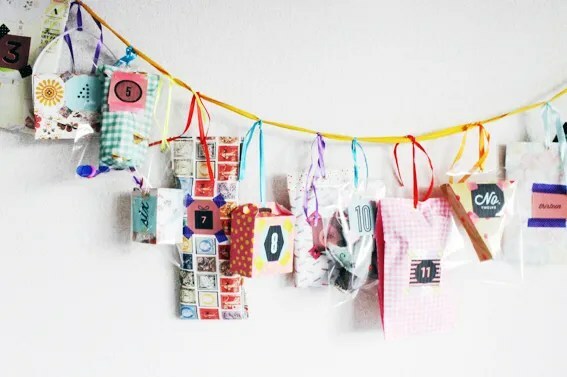 A wonderful way to reuse old envelopes, boxes, paper, cards, stamps and other bits of ephemera. Eat Drink Chic free downloadable Holiday Gift Tags. How beautiful are these? Also I think it is so generous of artists to make there work available for free. As long as we don’t abuse it and try and re-sell them or pass them off as our own! Heaven forbid. 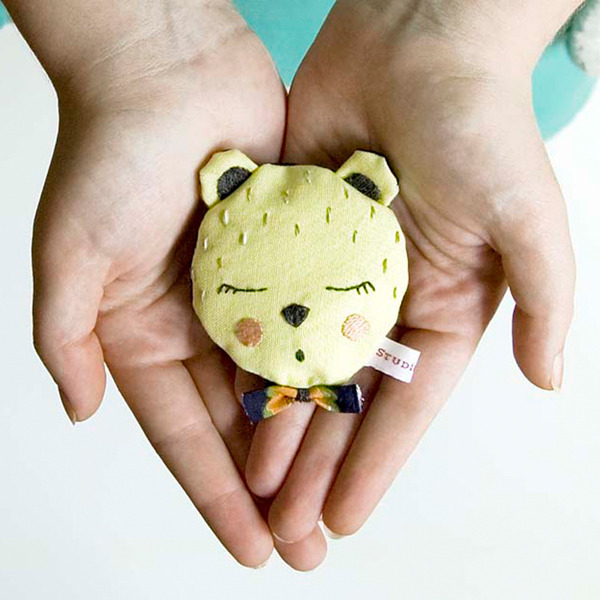 The blog also has many other wonderful ideas and freebies so enjoy and GET CRAFTING! 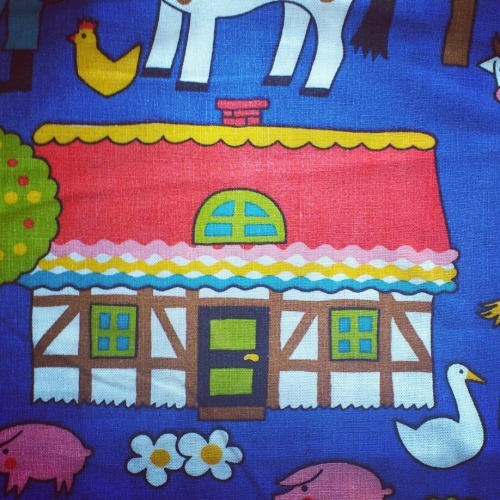 Vintage children’s fabric from my dear friend. 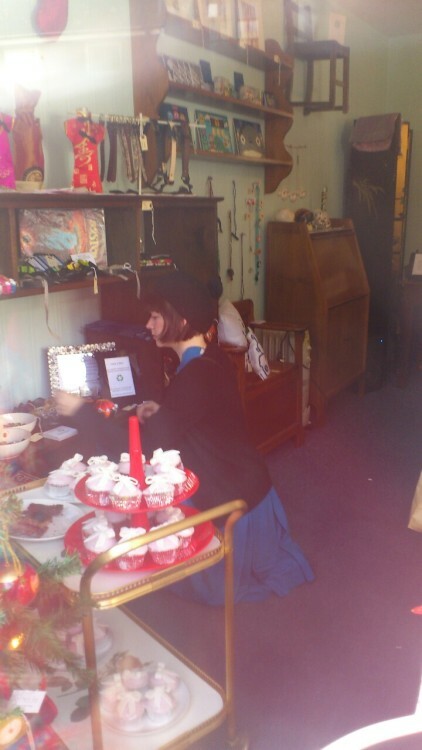 Rummaging for treasure with Naomi in brand new store Untold Story. 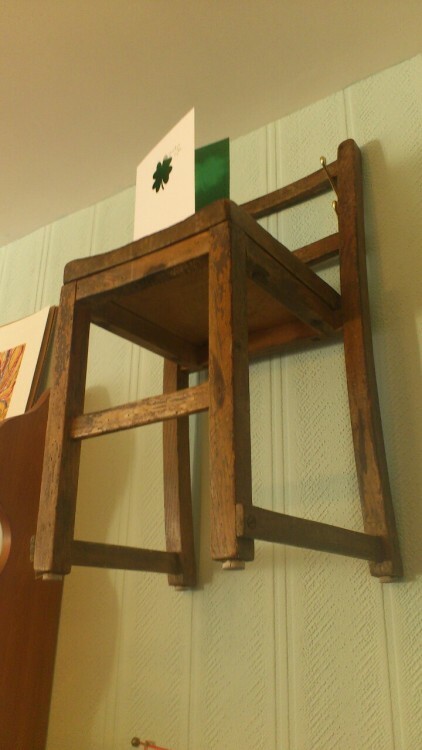 I liked this little chair on the wall. 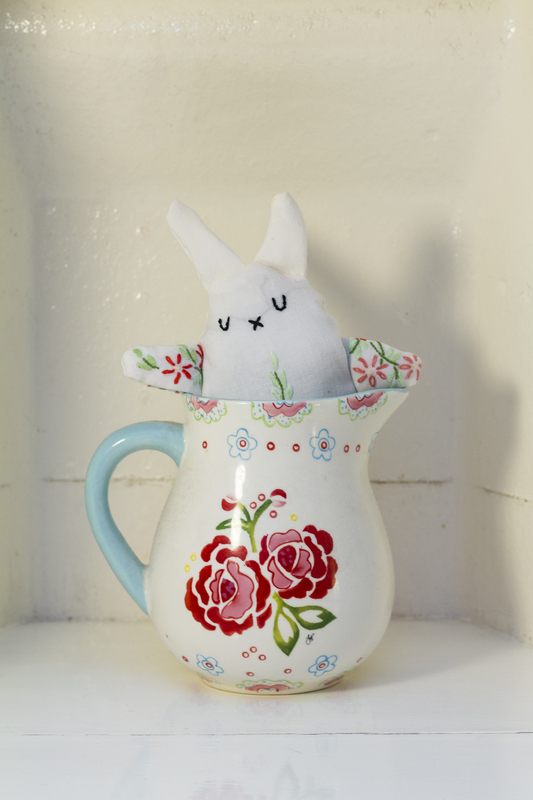 i have been a busy bee sewing some new animal friends, I hope you like them! I have been a little low on posting recently as I am now writing for BitchBuzz as part of the home channel. 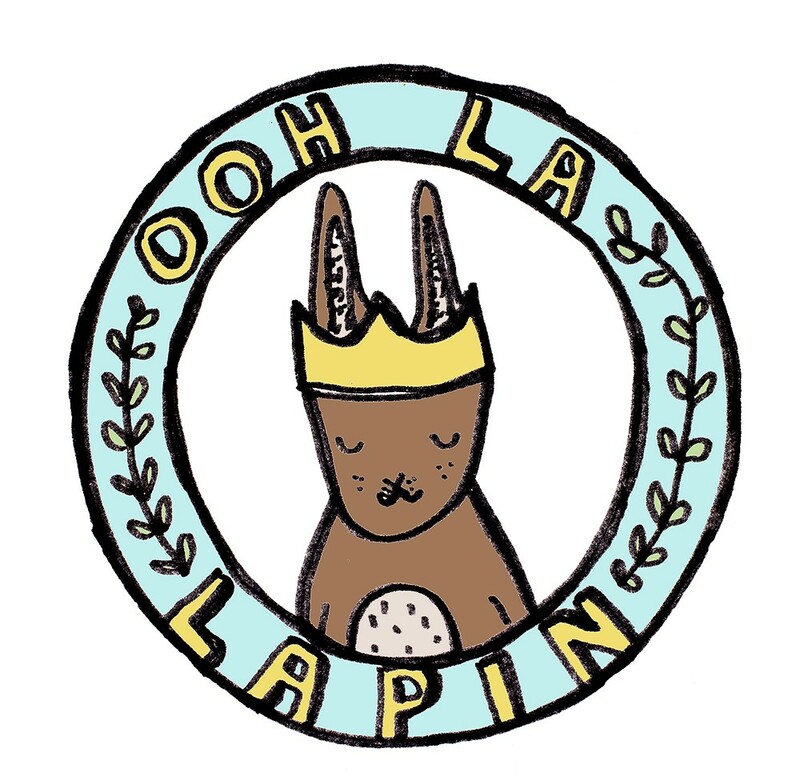 This doesn’t mean the end of ooh la lapin, quite the opposite. I hope to catch up on here soon with some lovely articles about my making adventures. Just give me a few extra hours in the day?